Bainbridge Island Dive Club coach Chris Miller, left, and divers Duncan Platz, Jackie Hellmers, Cammy Rouser and Zora Opalka, competed at the AAU Northwest Holiday Dive Meet in Beaverton, Ore.
Bainbridge Island Dive Club’s Duncan Platz of Kingston won the Future Champions 1-meter diving event at the AAU Northwest Holiday Classic dive meet Dec. 7-8 in Beaverton, Ore. The meet included 64 divers from Washington, Oregon, and Idaho. Platz finished with a score of 147 in the 12-13 age division. He was also second in the 3-meter event with a score of 120. BIDC’s Jackie Hellmers, of Poulsbo, finished third in the 12-13 Junior Olympic (156) and Future Champions (146) 3-meter events. Bainbridge’s Zora Opalka, and Cammy Rouser, of Kingston, finished sixth and seventh in the 14-15 Junior Olympic 3-meter competition with scores of 250 and 221, respectively. Opalka was also sixth in the Junior Olympic 1-meter (224) and Rouser was ninth (205). BIDC, which is coached by Chris Miller, also met two-time Olympian Kelly McCormick, who won silver in the 1984 Games and bronze in 1998. She also won nine national springboard titles and two Pan Am golds. Nathan Adrian is a Right to Play athlete ambassador and is asking for everyone’s help to make a donation for the organization’s latest funding drive. According to Right to Play’s website, the organization’s mission “is to use sport and play to educate and empower children and youth to overcome the effects of poverty, conflict and disease in disadvantaged communities around the world. One of five specially-designed swim caps gives a nod to Bremerton’s Naval roots in Speedo USA’s latest campaign, the Art of the Cap. Nathan Adrian wearing his limited-edition Art of the Cap, with a special nod to his Bremerton roots. Nathan Adrian, a Bremerton native and multiple Olympic gold medalist, worked with illustrator Gianmarco Magnani to design a limited-edition swim cap for Speedo USA. Speedo is one of Adrian’s sponsors. 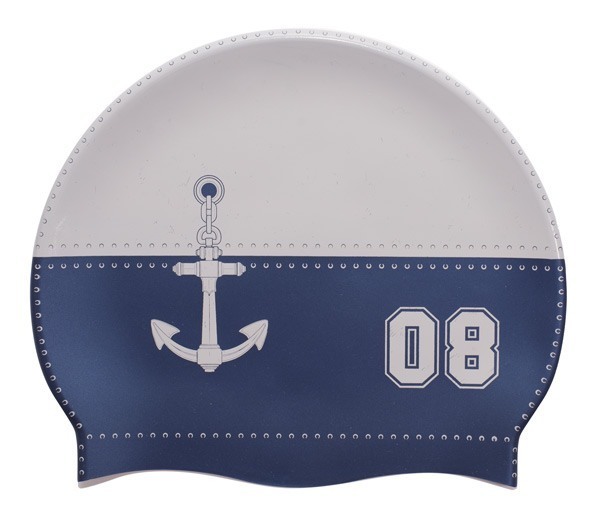 Proceeds from Adrian’s cap (Natalie Coughlin, Ryan Lochte, Cullen Jones and Dana Vollmer also have Art of the Cap designs as well) will go toward his chosen charity, Kids Beating Cancer. The non-profit organization was founded by Margaret Voight Guedes in memory of her son in 1992. It’s goal is to make sure every child diagnosed with cancer can receive treatment despite the family’s financial situation. You can watch his video explaining the design, his charity and why he chose to be involved by clicking here. The 6-foot-6, 220-pound Adrian does have the power to move through the water like a battleship in his sprint freestyle events. Adrian said he wanted to give Bremerton some attention back because of the tremendous amount of support he has received over the years from his hometown. The now 25-year-old Nathan Adrian won the 100-yard freestyle at the 2013 Winter National Championships at the University of Tennessee in Knoxville on Saturday. Adrian, Bremerton’s defending Olympic gold medalist in the event, celebrated his birthday with a win in 41.39 seconds. He holds the American record of 41.08 set in 2009. Adam Brown of the New York Athletic Club was second in 41.89 and fellow Olympic gold medalist (100 backstroke) Matt Grevers was third in 41.99. Adrian was serenaded with the birthday song by the Knoxville crowd following his race. He won the 50 free on Thursday. Olympic champion Nathan Adrian got off to a shaky start but turned on the speed in the second 25-yards and won the 50-yard freestyle at the 2013 winter nationals at the University of Tennessee in Knoxville on Thursday. The Bremerton native touched the wall in 18.89 seconds, off his American record of 18.66. Josh Schneider of the New York Athletic Club was second in 19.07 and Adam Brown, also of the NYAC, was third in 19.13. Adrian’s Olympics teammate Matt Grevers, and 100 backstroke gold medalist, was fourth in 19.24. Cullen Jones won the consolation finals in 19.37. 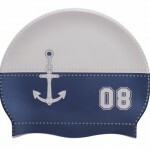 Adrian won the long-course meter 50 and 100 freestyles at the 2011 winter nationals. He now has a combined six national championships. “I know I didn’t hit my start quite that great, but I made up for it with a decent turn and decent finish,” Adrian said in a post-race online interview with NBC. Adrian will be back in the pool on Saturday, his 25th birthday.